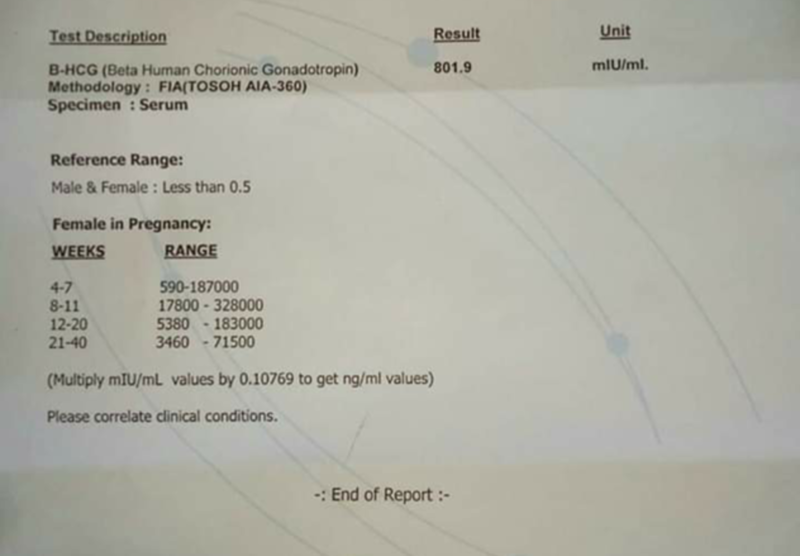 She came to us last year, at 38 years of age, with inability to conceive despite trying for 3 years. She has a baby, 8 years old, conceived spontaneously. She did not have Periods for last 5 years. We performed all necessary tests to find out the cause and found it as "Premature Menopause" or "Premature Ovarian Failure" (POF). However, no reason for POF was found despite all possible investigations. We started Hormone therapy to protect the health of bone and heart. Regarding Fertility, they finally pored for IVF with Egg Donation. But after Ovum Pick Up (OPU) from the donor and the Embryo Formation and Freezing all the Embryos, there was difficulty in preparing her Endometrium (The Inner Layer of Uterus) for FET (Frozen Embryo Transfer). She needed very high dose of Estrogen tablet and gel for this purpose. Finally FET has been done and the result is positive. PS- Uploaded with Kind Permission from the Patient.